If I told you that you could do 300+ things for your songwriting journey between today and this time next year – would you think that I am crazy or what? As a songwriter who lived outside of Nashville until moving in October 2002, I would follow a plan that really helped me stay focused and stay on my songwriting journey. I made trips to Nashville for (6) years before moving to town. I called it simply, "Do One Thing a Day for my songwriting." Those "things" have enabled me to develop a great network in Nashville of friends and industry professionals, to be prepared when I moved to Nashville with the craft and business of songwriting, to write better songs on my songwriting journey, and to really keep my songwriting goals focused over the years prior to moving to Nashville. One thing a day includes making a phone call or e-mail to a songwriter to set up a co-write session, or an industry professional to ask a songwriting business question, or someone in the local songwriting workshop to discuss an upcoming event. Or, I might make plans for my next trip to Nashville, plans for an upcoming workshop meeting and guest speakers for the local events. I would also contact the media for those local songwriting events. Sometimes I would talk to a couple of out-of-town or out-of-state friends who are on the songwriting journey to share ideas, goals, challenges and successes. Sometimes a call would be needed to say hello to someone whom I haven't spoken to for a while, who always encouraged me in life, and to share what was going on in my life, even thought that friend was not a songwriter. They are (and still continue to be) great, positive friends who believe in me. Other kinds of one thing a day include opening my hook-book to write a hook that I had just found reading a book, a conversation overheard during the day. My hook-book contains “Hooks” – thoughts and ideas for songs that I use when writing and co-writing songs. Or, I might find a hook from watching a movie or TV, from the preacher's sermon, a newspaper, or magazine. Sometimes, the hook "came to me from the sky," or wherever those hooks come from, and seem to find our songwriter's antenna, move into our head, and then down our arm onto the paper. I also open the hook book to review ideas I've written in it, to see if I could write another verse or chorus to something I had started previously, and maybe even complete a song in my hook book. Looking at music sites on line can be very helpful by finding ideas from artists and songwriters, learning and networking on-line with myspacemusic and other sites from organizations and songwriters. I might play the guitar or keyboard - even for a couple minutes a day - which is another excellent thing to do that may inspire an idea. I would learn another melody that can lead to a song, learn a new chord or strumming pattern, or work to improve a song that I've written. If I have more than a couple minutes, then I play the instrument and visualize myself playing my songs to an audience, a concert hall, one of our local venues, or playing live in the venue if that is my ultimate goal. Keeping the guitar on a stand instead of in the guitar case makes it much easier to play! So have them in as many rooms of your house as possible – you may pick one up for a couple minutes and strum a melody that you haven’t thought of yet – starting another song! One thing a day also includes reading just a chapter - or even one or two pages - of a songwriting book a day to increase my songwriting skills. Hey, folks - we all know what our favorite room to read is - so go ahead and have a songwriting book in there at all times! If I read a little before going to bed, I often make it a songwriting or industry publication for my bedtime stories. I read the "how to" songwriting books, biographies about people in the songwriting or music industry, or any book or industry magazine that enables me to learn one thing per day. American Songwriter Magazine, Music Row and Performing Songwriter are a couple magazines to have around the house. It's is a great investment for my songwriting journey. I highly recommend every songwriter reading “The Craft and Business of Songwriting – Third Edition” by John Braheny. If you read just (2) pages a day – you will learn something new every day about songwriting! The book by Douglas Waterman “Song – the world’s best songwriters on creating the music that moves us” is another great book to have at your desk or nightstand – somewhere easy to pick up and read – maybe just ONE interview a day with a great songwriter will make a difference on your journey! Some other things that I did while still in Charlotte, NC and you can too is to attend and get involved in the local songwriting community. I was the Nashville Songwriters Association International (NSAI) coordinator in Charlotte from 1996 - 2002. I was fortunate to have two great co-coordinators for the last year in Charlotte, as I had my condo on the market and was making plans to move to Nashville. I know from personal experience that it's great when songwriters ask what they can do to get involved with the local songwriter workshop. I highly recommend networking in your local community by attending the music events and singer/songwriter nights. This is an excellent place to meet new co-writers and friends that have the same interests as you and inspire new songs. One thing a day should include time to review your goals. I wrote my goals down and placed them where I could see them every day. I still do this. That way, I can pause for a minute, look and make sure I have done one thing that day for my songwriting journey. Visualize your goals happening with your songwriting. But, the most important thing for you to do each day is - Have Fun on Your Songwriting Journey! Doak Turner is a songwriter in Nashville, TN. 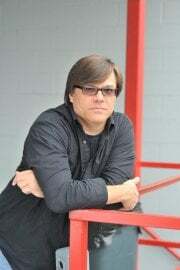 He has songs on independent CD projects, former 6-year local coordinator in the NSAI Charlotte workshop, produced several successful songwriting events, a writer for www.musicdish.com in the “Song Works¨ section of the site, and editor and publisher of The Nashville Muse.